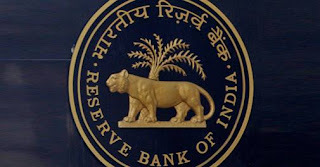 The Rajya Sabha on Wednesday approved a Bill that sets up a panel to decide interest rates, bringing the Reserve Bank of India's policymaking process in line with that of its major global counterparts. The measure was part of a broader Finance Bill approved by the Lok Sabha last week, meaning it now becomes a law. Currently, Reserve Bank of India (RBI) Governor Raghuram Rajan is the sole authority for monetary policy decisions, with assistance from a panel that is purely advisory. Under the new law — and from a date that has yet to be set — a six-member monetary policy council will set interest rates by majority, with a casting vote for Rajan in the event of a tie. Three members will be representatives from the government, and three from the RBI. The Bill also requires the RBI to review its inflation target every five years. There is currently no set timeframe for such reviews.